So Digital Digest celebrated its 19th birthday last week, on July 4, which seems like a familiar date for some reason here in Australia. Who am I kidding? I deliberately launched Digital Digest 19 years and a few days ago on America’s birthday mainly because I know how bad my memory is and the only way I would remember the anniversary would be to piggy back it to another, more easily remembered one. As for the reasons behind launching Digital Digest (then known as DVDigest)? It was mainly because I had become bored of answering the same questions on several message boards that I had been visiting and decided to put all the available information in one place so I can just link to it in my responses. Plus I could also host a few downloads for people to use on the GeoCities hosted site (sites, actually, since one account usually wasn’t enough to handle all the bandwidth required). 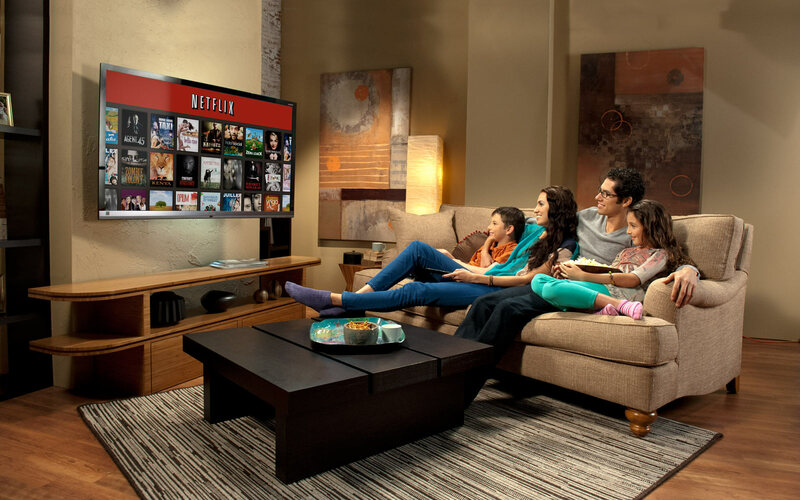 The arbitrariness of Netflix’s subscription tiers comes to the fore this week as it was revealed the streaming giant was testing a new, top subscription tier that sounds a lot like the current, top tier, except at a higher price. Netflix’s proposed “Ultra” tier would cost $3.50 more than the current “Premium” tier and would offer exactly the same 4 simultaneous screen plan with 4K and HDR support. What would be different is that the “Premium” plan would drop support for HDR streaming (while still maintaining 4K streaming support), and may even drop the number of simultaneous screens to 2, while the “Standard” plan may end up only supporting 1 screen. In other words, it’s a $3.50 price rise for those that want to watch shows in HDR, and price rises for everyone who needs simultaneous streaming. This somewhat cynical move might not happen, as I doubt Netflix can get away with something like this if they don’t call it a price rise. But Netflix does need to raise prices because licensing and producing content is expensive business and may get more expensive now that Disney is all about to acquire Fox and will definitely launch their own streaming product – without Disney and Fox’s content, Netflix will have to pay more for other studio’s content or pay even more to produce their own. There is possibly the argument that content costs too much to license these days because Hollywood is making for losses in DVD and Blu-ray sales with profits from streaming despite not every title making it to a streaming platform. Most of the other streaming platforms, like Amazon, are not even anywhere near profitable due largely to excessive licensing costs, and I’m just not sure this is a wise long term strategy for Hollywood. What is happening is that the high cost of licensing, and particularly the headaches involved with global licensing, means that it’s often more economical for the likes of Netflix, Hulu and Amazon to make their own original content – this, eventually, could put Hollywood in a weaker position both in terms of direct revenue (more competition for eyeballs) as well as when it comes to negotiating future deals, much like how music labels are now at the whim of the likes of Apple and Spotify. In other words, short term greed may end up equaling long term pain. Still, the idea of subscribing to one or maybe just two platforms that offers pretty much all the content I will ever want to watch, seems like a distant and impossible dream right now. Google may be dreaming of something too: their own gaming platform. And as with the direction of all things these days, the new platform, codenamed ‘Yeti’, will be streaming, cloud based. Game streaming, or cloud gaming if you prefer that term instead, isn’t something that’s widely used yet, but all the major players want a piece of it, as it definitely has some major advantages over how games are traditionally distributed. For one, there’s no need to go to a store to buy a retail disc package (which, for a popular game, may be sold out), install it and then install updates to play. Digitally purchased games removes the need to go outside, but it still means a lengthy download, followed by more updates. Both methods also require local storage space, which if you have a lot of games, will always be a problem. 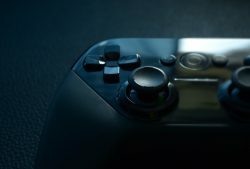 And that’s all assuming you can afford the hardware to play it on – a latest generation console or a souped up gaming PC – both of which will be outdated by the time most of the good games that can take advantage of the hardware actually comes out. So streaming removes these hurdles, as you can start playing a game in just a few minutes time, with no need to pre-download GBs of data. Plus, with the rendering done on the server level, your local piece of hardware won’t need constant upgrading or to be powerful at all in the first place. Google’s plan is that eventually, you should be able to start a new Chrome tab on any device you own and it will be able to stream-play any game at the highest quality level. Of course, the major hurdle for this would be bandwidth, because even games these days are 4K and unlike movies and TV which can be pre-compressed to have low bitrate requirements, games are live and have to be encoded live, and so won’t be as efficient when it comes to compression (and games tend to have more motion than movies of TV shows, which further affects their ability to get compressed well). So when everyone has 100 Mbps connections, game streaming might become as normal as Netflix, but until then, it’s still not for everyone. But the major players all want to be in a position to be able to take advantage of this when the bandwidth does eventually catch up, and so this is why Google has Yeti, Nvidia has GeForce Now, Sony has PlayStation Now, Microsoft has that so far unnamed one that they just announced, and also the dozens of other lesser known platforms. Watch this space.